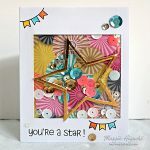 Hello, it’s Christine here today with a simple daisy card. 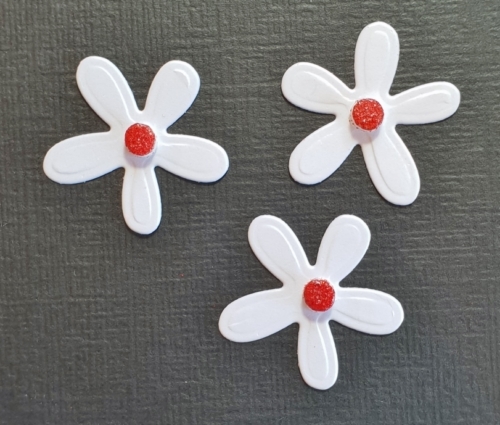 Those flower centers are easily made with 3D Foam Circles White Mix and a little bit of heat embossing. Follow my easy tutorial to see how. Select some of the 3D Foam Circles White, I opted to use the small ones for the flower centers. There are two sizes in each pack. 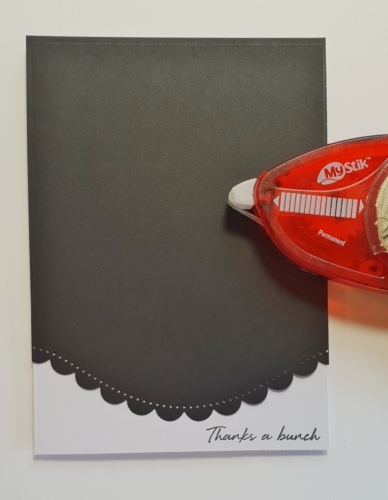 Trim a piece of the backing so you have them available to heat emboss and easily removable. Remove the top paper liner of each circle and sprinkle with embossing powder. I chose to use a bright glitter red. Tap off the excess and heat with a heat gun. Instant bright daisy flower centers! You could use any color you wish. I affixed them to die cut white flowers. Then I die cut a piece of black card with a scalloped edge and matted onto a white A2 card front using MyStik® Permanent Strips. Because this adhesive is dispensed in little strips, it is ideal for applying as little or as much as you need. 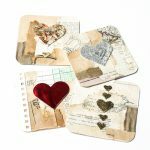 You can make long lines, curves or tiny, individual pieces right where you need them. 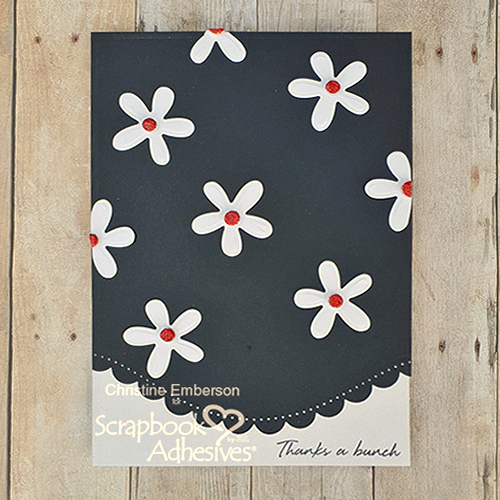 I used multiple daisy flowers to decorate the card front including cutting some in half to affix to the card edges for a continued design. Next I stamped a sentiment to the bottom right-hand corner. This is the finished card. 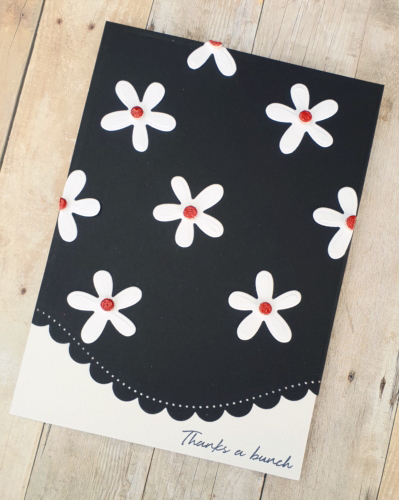 Daisies always look like a happy flower; so ideal for a thank you card, perhaps make a batch of these. 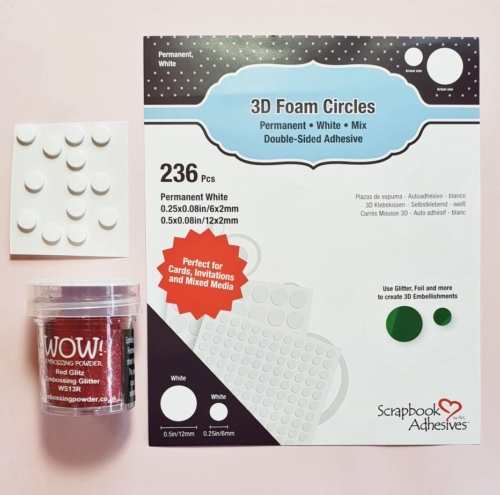 Also, be sure to check out all the super handy adhesives on the website. Thanks for stopping by! This entry was posted in 3D Foam Circles, Adhesives, Beginner, Cards, Crafts & Tutorials, Embellishments, MyStik® Dispensers, Permanent Adhesive, Seasonal Craft Ideas, Skill Level, Spring, Tutorial, Wear your Adhesive on the Outside and tagged 3D Foam Circles White Mix, Card, Card Making, Christine Emberson, Embossing Powder, Flower, Heat Embossing, MyStik Permanent Strips, MyStik Permanent Strips Value Pack 1 Dispenser 2 Refills, MyStik Permanent Strips Value Pack 3 Refills, Spellbinders Paper Arts, Spring, Tutorial, Wear Your Adhesive on the Outside, Wow Embossing Powder. Bookmark the permalink. 2 Responses to "Daisy Card with 3D Foam Circles"
Simply adorable! CAS but very lovely I love B&W tfs.